Brand new for 2017 Docrafts Create Christmas brings you a range of essentials perfect for Festive crafting. 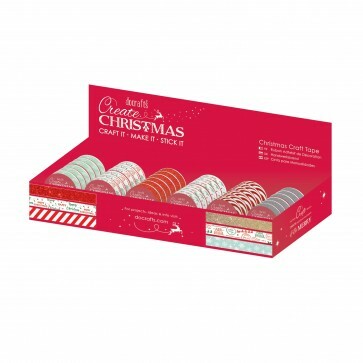 Packed with a number of exciting new designs use these Craft Tapes to embellish Gifts Papercraft Projects and more. 6 printed designs included (5m per reel). 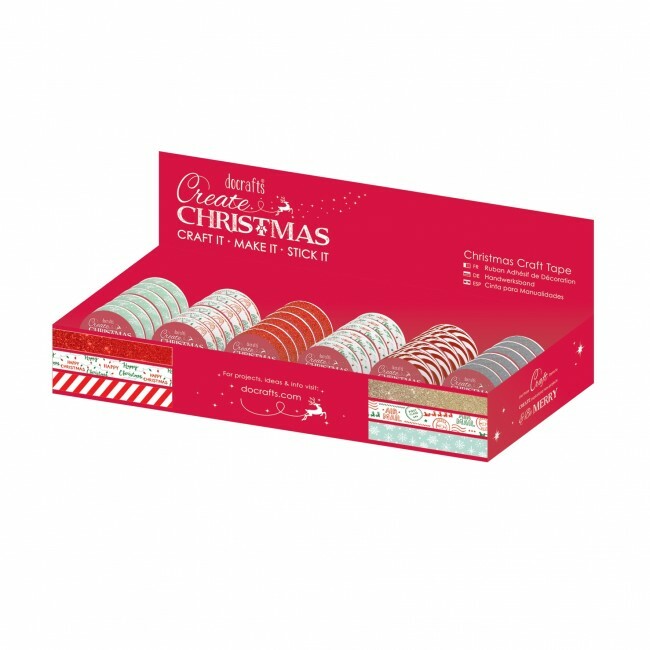 Designs include: Red & Silver Glitter Happy Christmas Foil Candystripe Green Snowflakes & Air Mail. 6 of each design included in the CDU provided. Each Craft Tape is 15mm in width.